Libbraille was a computer shared library which made it easily possible to develop braille displays. It provided simple API to write text on the display, draw dots directly, or get the sum of keys entered on the braille keyboard. 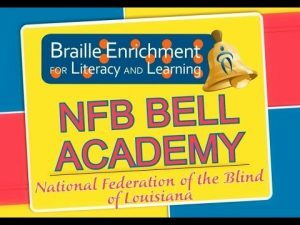 The website also included a free online tool for braille translation based on Libbraille and also some emphasized documentation regarding the international alphabets of braille. It was Sébastien Sablé who developed Libbraille in his spare times. It supports quite a large range of braille displays embracing a serial or USB connection, it can be auto-detected most of the time. The manufacturers whose terminals could be supported are Baum, EuroBraille, Alva, Hermes, HandyTech, ONCE, Tieman, Pulse Data, Blazie Engineering, Papenmeier, and TechniBraille. The free online translator converted a Unicode text to Braille. The alphabet can be selected for multiple languages. This open source tool was majorly made to test Libbraille and gnome braille Unicode Braille transcription features and international Braille alphabets. 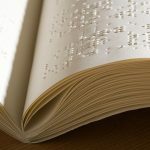 Some of the languages for which one can read Braille alphabets include French, German, Spanish, Swedish, Korean, Polish, British, Arabic, Bharati-Devanagari, Portuguese, Russian, Vietnamese, Croatian, Quebecois, Japanese, unified-English, Italian, and some more. The terminals which supported braille displays were alvausb driver, Alva driver, Baum driver, braillelite driver, braillenote driver, combibraille driver, eurobraille driver, handytech driver, Hermes driver, Hermes driver, mdv driver, once driver, papenmeier driver, technibraille driver, and Voyager. One could openly contact the website to acquire support for their device and get as much information as possible. The standard Braille alphabet as described on the website consists of 6 cells with raised dots and the absence or presence of these dots gives the coding for the symbol and thus providing Braille alphabet for 64 characters. Many international languages have adopted the system. 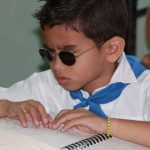 The grade 2 braille was developed to lower the size of books and improve reading as an experience. Some other symbols are used to represent usual letter combinations. Two symbols can also be combined to represent certain words. Certain characters might also change their meaning, with regards to how they may be spaced. Computer braille handles additional attributes for the computer system as the standard system of braille has been extended to eight dots. Any text could be converted to the American computer braille. It supports over forty braille displays. The serial or USB terminals from the majority of the manufacturers were supported. There is an easy configuration because a majority of the displays are auto-detected at the initialization stage itself. A braille pane for the Mac OS X system’s preferences was also available. This was an open source which was distributed under the LGPL Free Software Licence so that any developer who wished to write an application which is accessible could utilize it. It was portable and tested upon Linux, Win32, MacOS X, FreeBSD, and Solaris. It was international in nature and the Braille table could be changed easily. A window installer that is easy to use was also provided. Certain packages were available for Mac OS X systems, RPM systems or Debian GNU/Linux systems as well. Libbraille provides a virtual graphical braille keyboard in Gtk+. it helps the developers to test their application without possessing any costly device. Libbraille was primarily created for the TiM project sponsored by the EU Research Programme. It was thereon continued as part of the Vickie Project. The AOE media & TYPO3 sponsored the development of it during 2008 and 2009. Some of the projects that used Libbraille include Siragi, MozBraille, BlindStation, Brltty, Braille translation, PHP wrapper for libbraille, Wintriangle, and Vickie transcription tool for mathematical Braille. Libbraille basically simplifies or eases off the development of accessibility software for the visually impaired or blind people around the world. It gives the applications’ developers a common way to communicate with the braille displays so that they can focus on making amazing applications rather than spend a little time on Braille support.